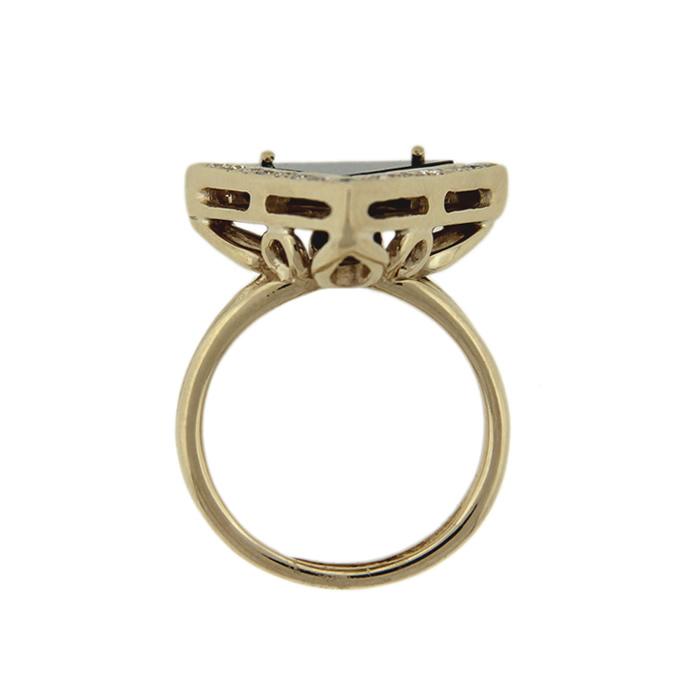 A super chic sculptural ring from the 1970s! 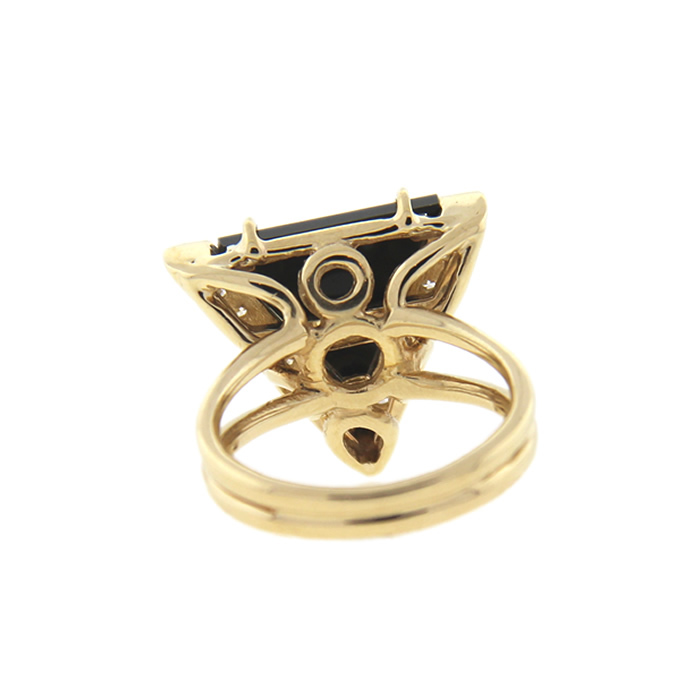 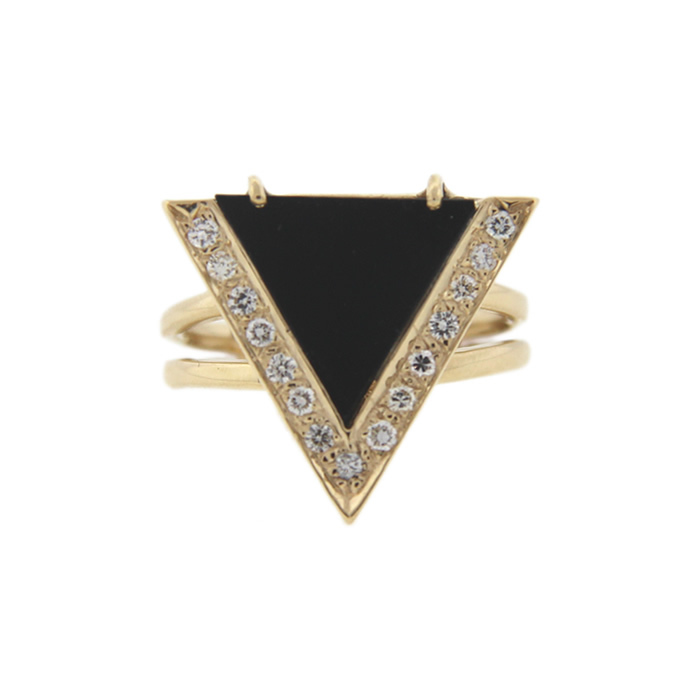 This ring is crafted in 14k yellow gold and features a triangle onyx accented with 0.30 ct. t.w. 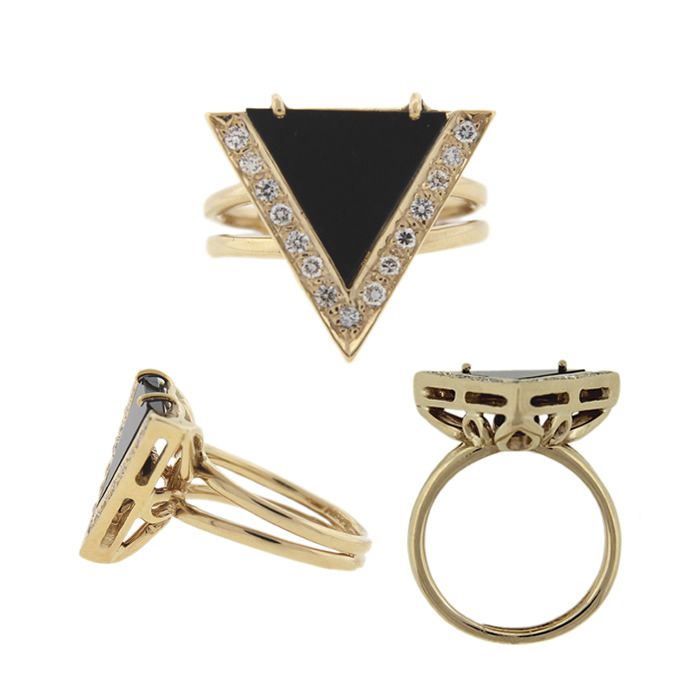 of round diamonds.